Curved grille introduced in 1953, on roadster, then in 1954 on dhc and four seater. 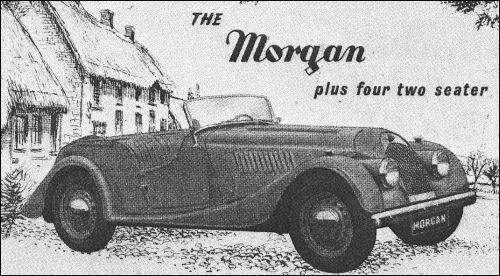 Morgan Plus Four continue with modified front end treatment-partly cowled and curved grille and with the headlamps faired into the wing valances. Also available in 1954, for the two-seater Sports only, is the TR2 (1991 -cc) engine; this power unit is not available on the Drophead Coupé and four-seater Tourer models.